Veterans recognized. He has made it his quest to ensure that all Cold Warriors receive what they deserve. more to convince Congress to authorize and DoD to issue a Cold War Service Medal. both of your Senators to introduce a companion bill in the Senate. At long last the VA will begin to issue a photo Veterans ID Card to every honorably discharged Veteran. You do not need to be enrolled in the VA Health Care system. handy in the many places that offer special terms or discounts for military and veterans. 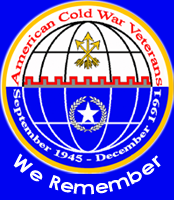 The struggle for recognition for Cold War Veterans continues, a fight that has been ongoing for at least 15 years. in the military between 1945 and 1991.
as third most combat deaths. So the old line of "no shots were fired" is proven to be false and misleading. lives in danger every day. this bill H.R. 1419 The Cold War Service Medal Act 2017.
friends to do the same. We need all the support we can get. and we as a nation should thank all of them. Let this be the year that our quest finally comes to fruition. On Monday May 29, in a ceremony following their Memorial Day Parade the city of Warwick, RI announced that the city will be building a new memorial. A Cold War Memorial, dedicated who served and gave their lives during the Cold War; between Sept. 1945 and Dec. 1991.
now acknowledging that the Cold War was a real and dangerous period of time in the history of our nation. The Cold War is still a misunderstood and almost forgotten era, during which the world stood on the brink of nuclear annihilation. There were numerous "hot" events that could have turned into something much worse, and possibly led to WWIII. Many American lives were lost, many more were injured; in the struggle to contain Communism and free the world. Our thanks to the city or Warwick, and wonder when Congress will finally decide to recognize and honor all Cold War Veterans. The Cold War ended in 1991, 26 years is too long to wait; soon there will be no Cold War Veterans left. not retire from our Armed Forces, nor are they enrolled in the VA Health Care System. for someone to prove that they are indeed a Veteran. of identification and verification of being a Veteran. be found in earlier posts, scroll down for that info. I contacted the VA and questioned when the cards would be issued. Here is the response from the VA. Recently you requested assistance from VA. Below is our response. If you wish to reopen this issue, you may do so within the next 14 days. While VA intends to issue Veteran ID cards to all veterans in the near future,we await more information and instructions on the issuance of these cards. At present, the Department of Veterans Affairs provides a Veterans Identification Card (VIC) for veterans to use at VA medical facilities. The VIC is issued only to veterans who are eligible for VA medical benefits and only for the purpose of identification and check-in for VA medical appointments. The card protects personal privacy by not showing Social Security Numbers or dates of birth on the front of the cards. For all information about Veterans Identification Cards (what it is, how to get one, what to do if lost or stolen, when it can be used, etc.) go tohttp://www.va.gov/healthbenefits/vhic/ for details. So it looks like the usual VA waiting game. I am guessing another 4 to 5 months. Remember the VFW was against this while the bill was in progress; and the VA seemed not to be in favor of it either. a fee of $12.50 for the "privilege" of having this included on the license/ID card. further, the Department of Motor Vehicles will issue the refunds automatically. have given more than their fair share, and deserve the recognition and respect they have earned. Cold War-era Veterans may potentially develop mesothelioma due to the use and presence of asbestos in military applications. 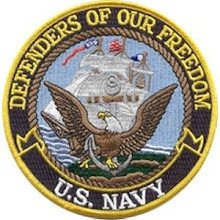 Navy vessels posed a high risk prior to the 1970s while military facilities utilized throughout that period also contained high quantities of the mineral. Cold War veterans with mesothelioma symptoms should seek professional medical help to obtain a diagnosis and seek treatment for mesothelioma as soon as possible.